Rah Cha Chow: Some big news..
1. I finally broke down and bought a digital SLR camera and am anxiously awaiting its delivery. I've been wanting to improve my food photos and can't get what I want from the two point & shoots ... can't wait to get it! 2. My son's & my cookie recipe was published in Relish Magazine! When the writer called about doing the article, I didn't know what the magazine was, but it's a monthly magazine that is inserted in newspapers across the country. My in-laws saw it in the Buffalo News and my Grandma saw it in Lake Geneva, Wisconsin -- fun! 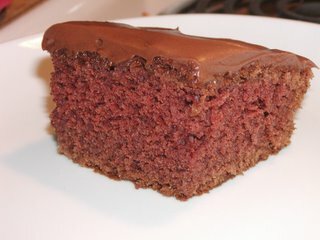 About their photo (since I'm getting a digital SLR, I'm looking at food photos with a more critical eye) ... I love the light and the use of the board ... but they made the cookies longer and thinner than I do ... is it my imagination or do they look kind of ... nah, it must be my imagination. WAY BIGGER news for my stepsister, Karyn: ... no that's not a photo of her ... that's the actress who has been cast to star in the movie adaptation of her second book, Twenty Times a Lady. Columbia Pictures is set to produce. How cool is that? More about that on Karyn's blog. And, since she's received mixed press over the years, I wanted to say that it couldn't happen to a better person. She and her sister's family visited us last July. She was a blast to have around and great with all the kids around. Our visitors came to a CRB gig on a summer day when the temperature was way above 90 degrees. While everyone else in the audience was wilting in the shade, Karyn was boogying in the scorching hot sun with her 3-year-old niece. That's just a little example of the fun kind of person Karyn is. Big news for ANOTHER Karin: My good friend, Karin, is creative in many ways. When she lived nearby, she had the best parties -- Oscars nights with food and prizes related to the nominated movies ... Christmas gatherings with everything beautifully decorated and amazing food ... I miss her parties at this time of year! She also did the coolest crafty things and every so often she'd inspire me to do something crafty, like homemade ornaments with the kids. - Mostly Metals: A Beginner's Guide to Jewelry Design "is a much more accessible jewelry title than most and should be considered the foundation of any beginner's attempt," says the Midwest Book Review. 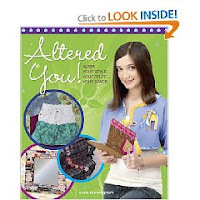 - Altered You: A Girl's Guide to Personal Style shows tween and teen girls how to alter clothing, accessories, and room decorations to create great new looks with only the simplest sewing and crafting. These would be be great Christmas gifts if you have adults or preteens/teen girls in your life that are creative/crafty! Just thought I'd mention them! Back tomorrow with cookie recipes! Have a good Saturday! Wow! Congrats on all this good news! I haven't actually read this most recent post, I came across your blog while looking up gingerbread dog houses as an idea for my families annual gingerbread house decorating contest. I LOVED your entries from last year and from the year of the ill-fated Snoopy house. I hope you have a wonderful holiday season this year. You are surrounded by creative people who love you. Lucky girl! Thanks for mentioning my books! 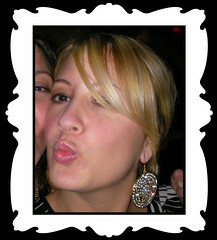 I miss my Rochester parties, too -- It's always the company that makes the party the best :-). What great news for you and your family. Good luck with the new camera! Yesssss! You bought the camera! Did you get a Nikon or a Canon? You are going to fall in love with your pictures. That's awesome news for Karyn. I love her blog. Drama Teacher, glad you liked the gingerbread posts. We just did this year's house and I'll post on it as soon as I can. Karin, waaah! You are missed. Emily, I got the Canon. I used a Canon AE1 for many many years (still have it) and look forward to getting back into using an SLR. I've never heard of Relish before this morning when I read this post. We have a recycle bin where people put their old newspapers on our floor at work and I usually grab something out of there to read before I go on my break to pump breast milk (I can never remember to bring something from home to read). Today I looked down and there was Relish, with your recipe in it! They do sort of look like, okay, nevermind. This is a family blog LOL. Congrats on the publishing of your recipe in Relish! How cool is that. Lots of exciting news here!